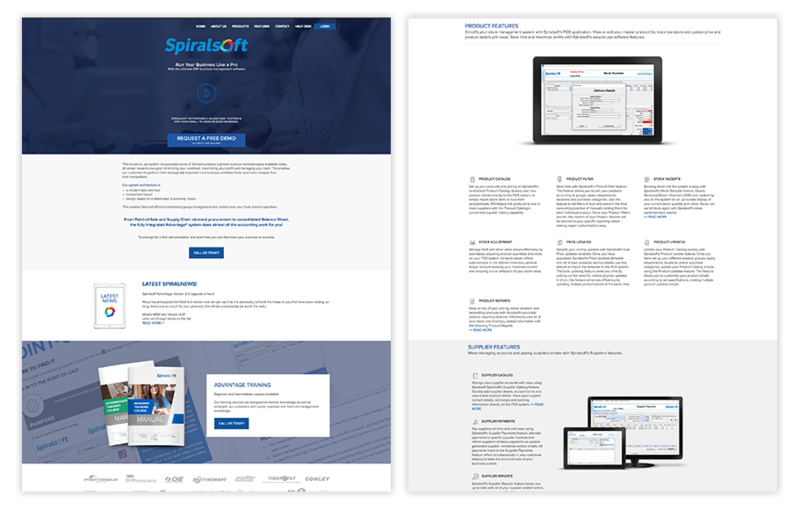 We recreated and rebranded their old website to portray their new service offerings and also to build them an automated way for new prospects to book a demo for their software. Their clients could also activate new services within their Spiralsoft dashboard and the whole service activation had to happen automatically, in other words, no manual set ups. 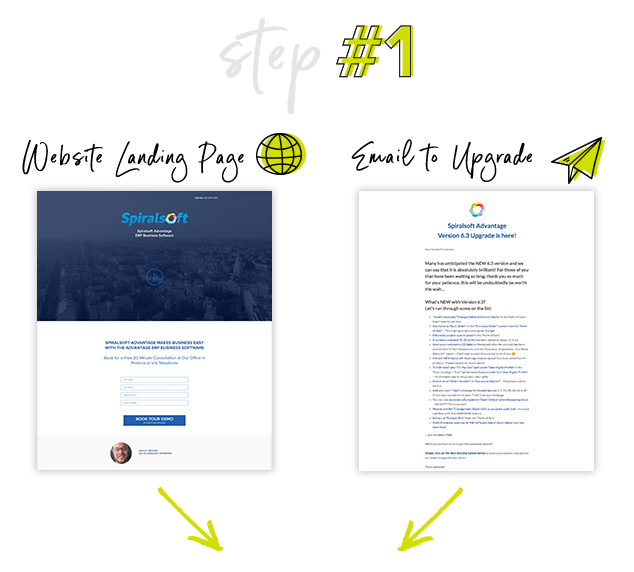 We funnel stacked two funnels for our client, but before stacking them we needed to build them. Step 1: New prospect arrives on the clients website, prospect books a demo for the software online, by filling out their details on the form (Step 2), books the time and call for their demo (Step 3) right there and then they received an automated email confirming their booking (Step 4). This added the prospect to their email database which they could use to then nurture the client even further. This was set up to be all automated, without our client lifting a finger. The next funnel we stacked on top of the previously mentioned Book a Demo funnel is their Upgrade System Funnel. 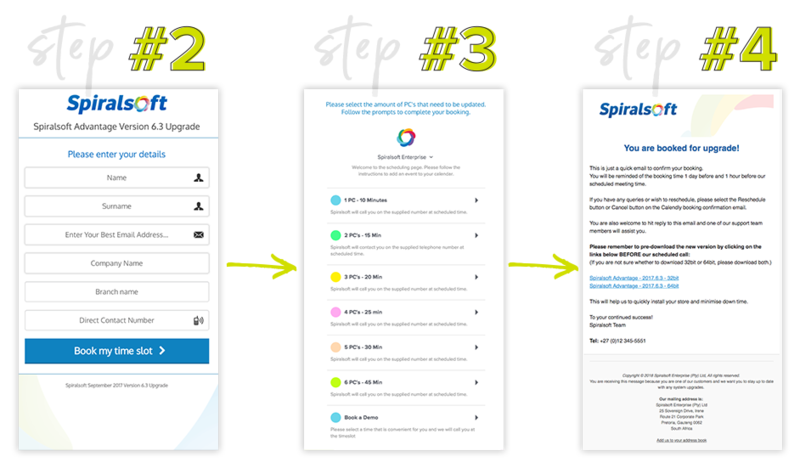 Current Spiralsoft customers would receive an email (Step 1) to notify them of a new system upgrade they needed to book for their retail store's point of sale system. 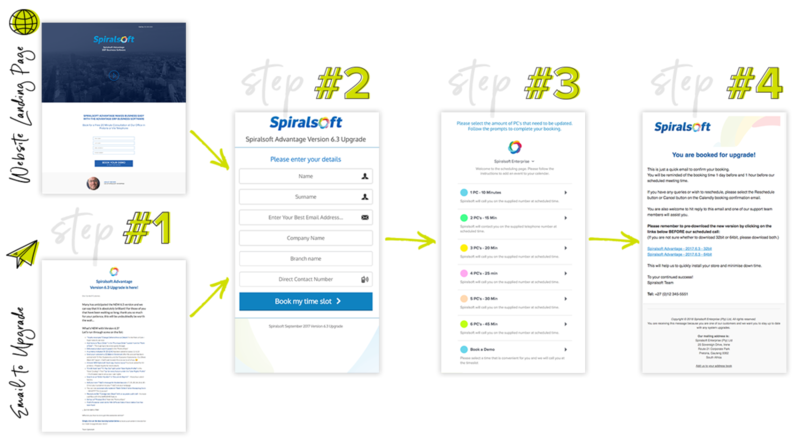 Clients would be redirected to fill out the information for their branch (Step 2), then they would select the amount of devices that needed upgrading to allocate the correct time slot for their booking (Step 3). From there, their upgraded client received an automated email confirming their booking. Spiralsoft received a confirmation too. All automated, without our client lifting a finger. 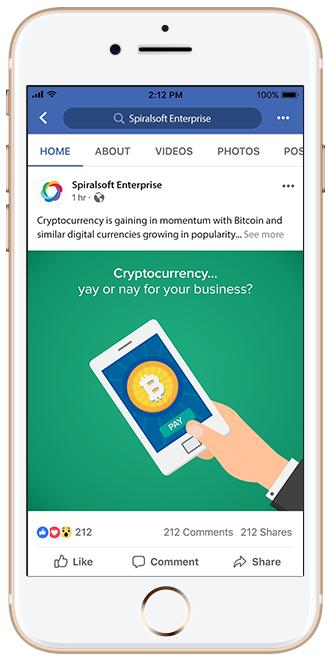 We crafted a social media strategy for 3 months for our client, Spiralsoft, where we introduced their product and services to a wider audience. We introduced their team and made it easy for people to connect. 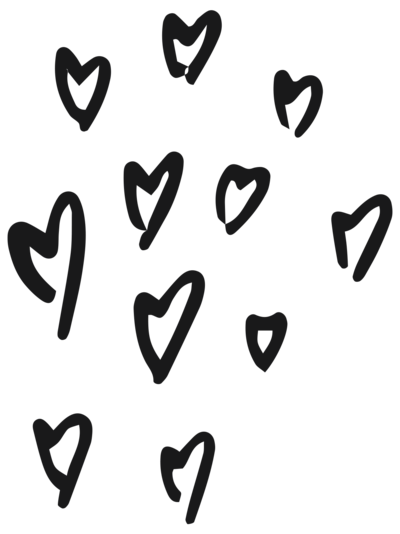 We are currently in the build out phase for their new cloud based application which will entail a new social strategy. Two new courses were created for our client to train their clients. 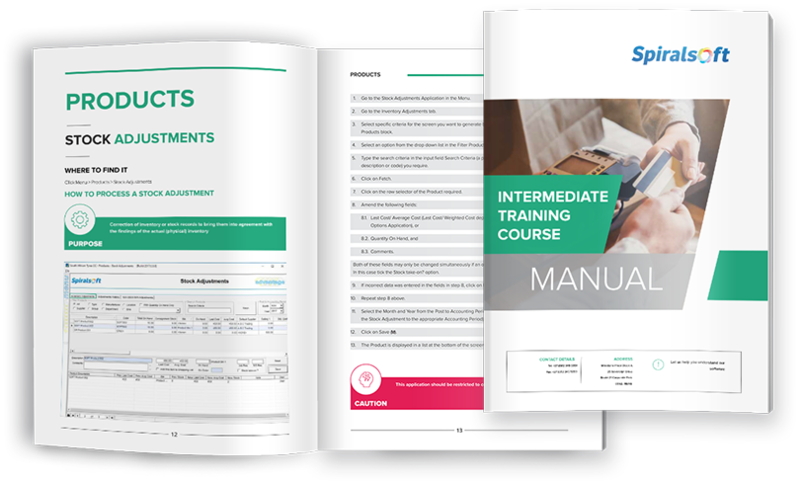 We developed and designed a Beginner Training Course as well as an Intermediate Training Course. 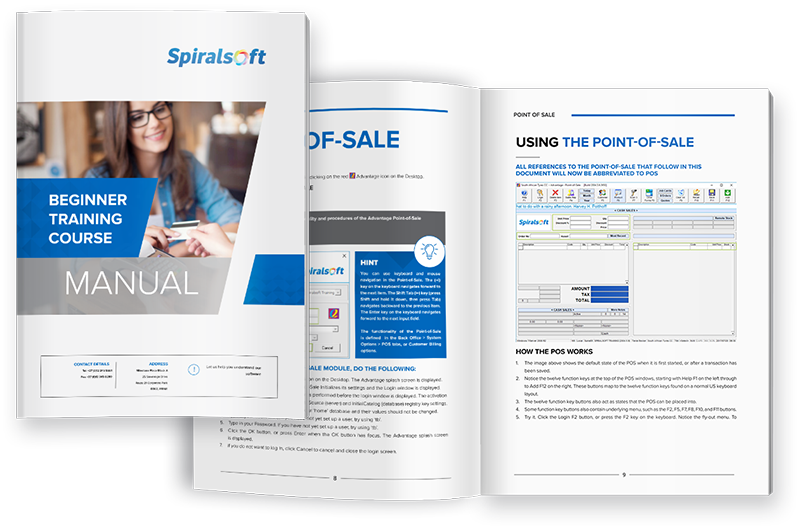 An Intermediate Training Manual was also developed, a full comprehensive guide to their software but trainees could also receive certification within their company to use the Spiralsoft Advantage Point of Sale system.